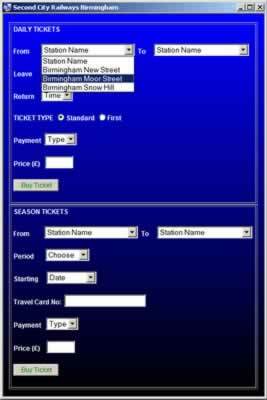 In the case study below, a train company has developed its own application to work out ticket costs for train journeys and hopes to deploy this application to their regional ticket offices in the Birmingham area. 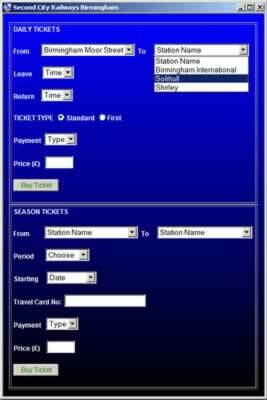 Case Study: Second City Railways Birmingham or SCRB for short, run the major ticket offices in the city of Birmingham. 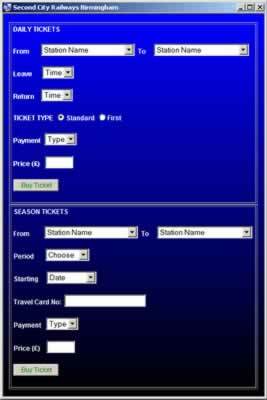 They have four ticket offices in the city and have developed a ticket pricing application, which they believe is quick and easy to use. The testers job is to determine the User Acceptance Tests which can give confidence to the board of SCRB that the application is capable of delivering what is expected of it and prove to the ticket clerks who will be using it, that the application is quick and easy to use, ultimately providing a better customer service all round. The tester has to develop UAT scripts of how the application is going to be used, this is generally done by working with a user, who knows what the intended users need to do. By documenting how this user uses the application allows us to develop our UAT script. Once an agreed script has been developed, the intended users can UAT the application. This may not always be the case, as prior use case modelling may have been done by business analysts. This would make the UAT persons job even easier, as they could take a few of the use cases (steps involved in using the application) determined as common tasks and transpose them into their own UAT scripts. For this case study, we will assume, we have to work with a user to script the common tasks done using this application. 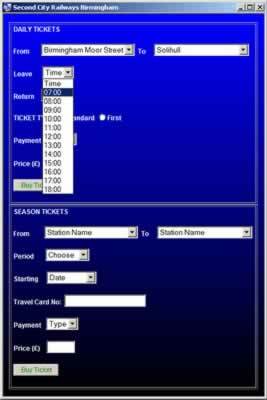 To book train tickets, we first need to select the railway station the customer will take the train from. By clicking the drop down box next to 'From', a selection of station names will be displayed. The SCRB application is shown in the screenshot below. We will select Birmingham Moor Street as the departure station, from a choice of Birmingham New Street, Birmingham Snow Hill and Birmingham Moor Street, as shown in the screenshot below. Now we the need to select the arrival station and this will depend on the choice of departure station selected, as different destination stations can serve different stations. We will select Solihull as the arrival station, as shown in the screenshot below. Now we need to select a departure time, from the drop down box next to 'Leave', as shown in in the screenshot below.